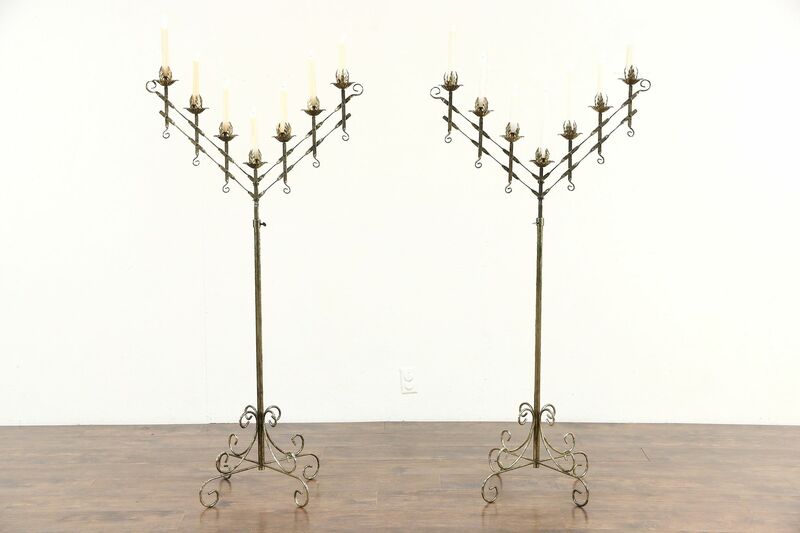 A pair of adjustable floor candelabra for 7 candles are wrought iron with a patinated "antique" brass finish from about 60 years ago. Height adjusts from 52" to 73" tall. Arms can be straight across, arched or stepped, see photos. American made vintage accessories, width is 40" and bases are 21" across. Please view 25 photos at full screen size for best detail. Related items in photos are sold separately.